Champagne has come in third place in a three-way battle between English, Australian and Champagne sparkling wines. An English sparkling wine from Nyetimber, and the non vintage Australia sparkling wine, Pirie, have beaten four of France’s top Champagne houses in an unprecedented wine tasting in Stockholm. The blind-tasting (called The Judgement of Stockholm!) with five of Sweden’s top wine writers, as well as me, Drew from the Wine Wankers, was held to investigate whether English Sparkling wines were capable of matching Champagne on quality, and price. If you’re new to English Sparkling Wine – definitely read this article we have also just published. Nyetimber 2009 Blanc de Blancs was the clear winner, easily beating all other wines in the competition with its total combined score of 63 points. The next highest combined score was for the bargain priced Pirie Non Vintage from Tasmania, which scored 49 points. Veuve Clicquot NV and Nyetimber Classic Cuvee NV tying in third place with 48 points. and why using Swedish wine writers set this tasting apart, read the end of this article. All wines were tasted completely blind – no one knew what the wines were until after the final reveal. Having recently moved to Stockholm, I’ve discovered Sweden’s drinking culture is unique and so are its wine writers. Without a wine industry to protect or feel parochial about, wine lovers (and wine writers) will judge a wine on its merits, and boy, does this country have a selection to choose from. Every wine producing country on earth is distributed here and are vying to win over the nation’s palate; it’s a completely level playing field. For wine geeks like me, over the past two years, English Sparkling Wine has become somewhat of a darling of the wine world, what with its world beating ways – but these articles have always been written by English wine writers, with the judging panel usually being made up of English palates, or occasionally, French experts. After recently visiting English wine country, I had a lightbulb moment. Wouldn’t it be cool if I conducted my own Champagne versus English sparkling wine tasting, but held it on neutral territory, where English Sparkling wine has almost no distribution so nobody could have any preconceived ideas. But that wasn’t enough for me, being Australian, I wanted to include a couple of Aussie sparkling curveballs in to the mix, both with outstanding pedigrees. Can the Champagne-like climate of Tasmania match France, or indeed, England? Why mix vintage and non vintage English and Australian sparkling wines and place them up again only non-vintage Champagne. The reason; price. Vintage Champagne is expensive. You have to pay double sometimes and this puts the drinking experience into a whole new category. In the UK, the difference between a non vintage and vintage sparkling wine is sometimes as little as £5 to £8. Most wines were priced at £34/390 Swedish Krona/AU$58/US$43 – except for the Australian wines, which were substantially less. If you’re familiar with Eurovision voting, or Formula 1, the scoring was in the same vein; 12 wines were tasted, so each wine taster ranked the wines they drank from favourite (theu received 12 points) to least favourite (sorry guys – 1 point only) and all the wines in the middle scored scaled points. We then tallied all the points from all the tasters to achieve the final result. Please note: just because a wine scored three times the amount of points does not mean it was three times better in quality! All wine writers involved in the tasting said how tough the competition was, and there was not much difference between many of the wines. Remember – these wines were chosen because they had already proven themselves as great ambassadors for each wine region. So – what are your thoughts. Will you be giving English or Australian sparkling wines a go in the future? Do you think we should have included vintage Champagne in the comparison, even though they are much more expensive. Should smaller growers Champagnes be included, even though they are harder to find? Next The Wine Wankers’ top 20 wines for the festive season! thanks Becky – hunt them down! Loved that the two Australian wines were from Tasmania! Tasmania is my wine spiritual homeland!! Unfortunately, people who know the wine business wouldn’t have bet on Mumm Cordon Rouge NV, Veuve Clicquot NV or Lanson Black Label Brut NV. You pick the worst of the worst, the result is not a surprise. How can you make a Champagne with a personality when you are producing 20 million bottles a year, with grapes full of fertilizers to maintain the yield? Have a look on small producers, who care about the Champagne they are making. Chartogne-Taillet, Egly Ouriet, Roses de Jeanne, Herve Jestin, De Sousa, Tarlant… Just talking about them, Im drooling over!! I get where you’re coming from – but it’s the big houses that can be easily bought and at a similar price point. I still believe the wines I chose are good wines – they were not chosen to fail. The wines you mentioned are very difficult to find, outside of top restaurants and obscure bottle shops. The purpose of this tasting was to shine the light on other countries producing methode champenoise – can they offer similar qualities to Champagne. I wanted people to consider other countries, as well as Champagne. Cava and Champagne are more difficult to compare side by side – because they are using diff varieties. It’s easier to do English, Australia and Champagne, they are all made the same way and with the same grape varieties. Thanks for reading mate! Good choice of cold-climate wines! I’m surprised that someone scores mumm so highly.. it has been terrible of late. Also do you think there’s much to do with the trend of champagnes to gradually reduce Dosage? Also if you want an interesting Tassie sparkling, I would suggest Apogee.. not easy to find but well worth it! I’ve tried zero dosage Champagnes and I’m not a fan – they are too austere. I think the trend is coming from sommeliers looking for wines to be matched with food. They are terrible on their own if you ask me. Mumm was included because it’s the #1 Champagne in Australia – i disagree however, it’s a good everyday staple for Champagne. There’s definitely worse out there from the big champagne houses – one that is noticeably absent from this lineup. I think you hit the nail on the head with zero-dosage wines. I get that Mumm is the #1 champagne here in Aus and hence it’s inclusion. I had a good sample at a tasting a few months back, but last week I found a new bottle hard work (2016 Disgorgement). Conversely, I enjoy Taittinger and it was this articles worst performing Frenchie – so just goes to show it can be each to their own! I enjoyed the article – great work! Go Tasmania! Time has changed. while champagne is trying hard to clean up their chemical contaminated soils, new world and british sparkling are the next new bubbly stars. 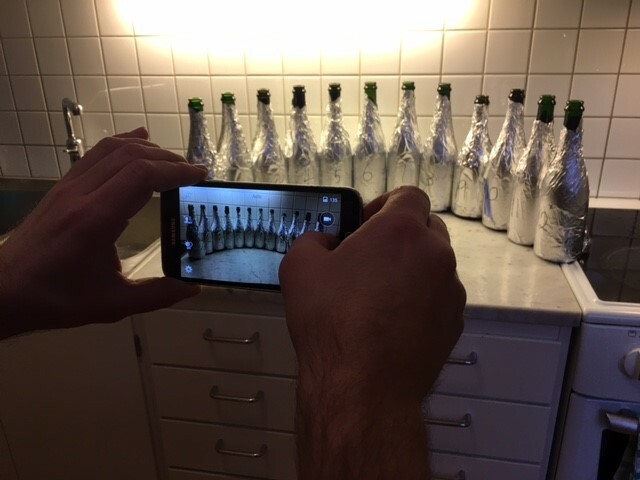 there is always room for improvement from everyone – this tasting was designed to open people’s eyes that there are other sparkling wines we should be considering! I disagree and agree – these are champagnes from the big houses that i respect. By no means are they bad in quality. PLus many of the Champagnes people would have liked to be included are either much more expensive or very difficult to find. If I’m not mistaken, I don’t see any grower champagnes for evaluation, such as Pierre Gimonnet & Fils, in this lineup. These smaller houses offer very high quality. They certainly do offer great value for money – and this is where you can find excellent wines these days. This tasting was to showcase English sparkling wines against what many people only perceive Champagne to be – the big Champagne houses. I enjoyed the article – great work! 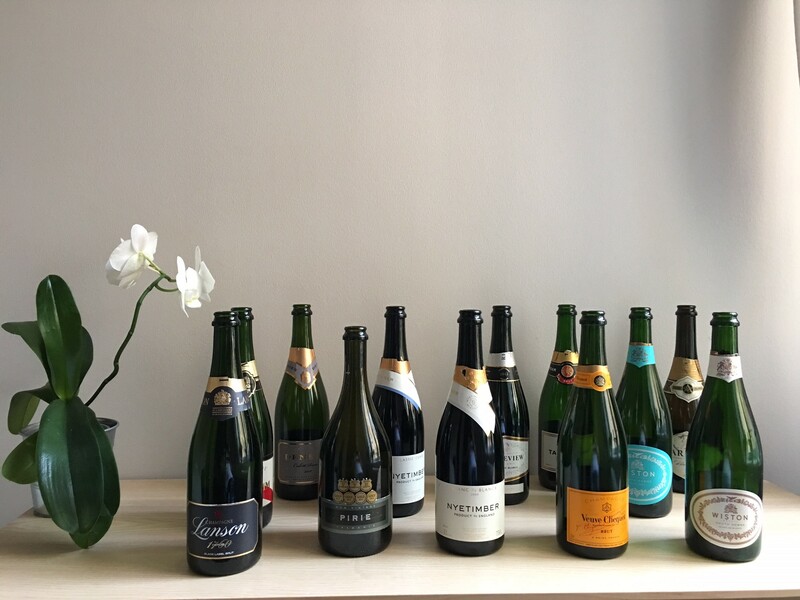 This tasting was to showcase English sparkling wines against what many people only perceive Champagne to be – the big Champagne houses.